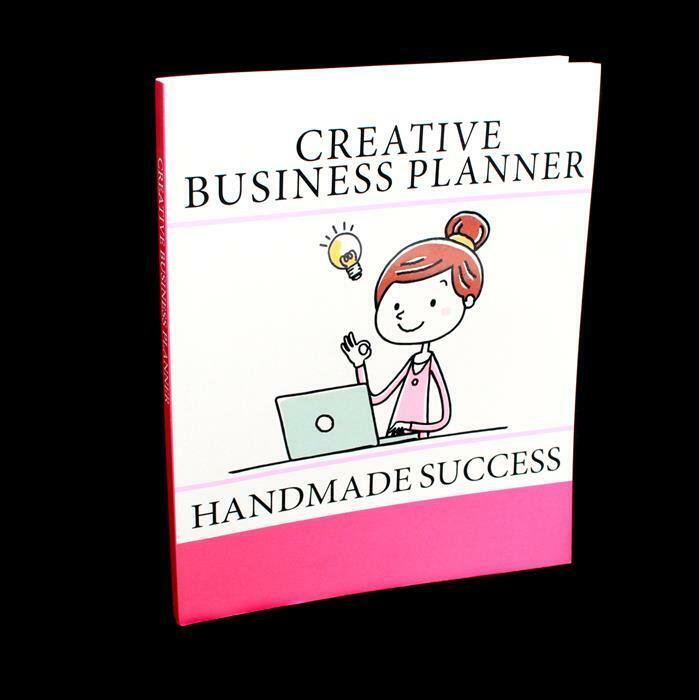 The 'Creative Business Planner' by Angela Edwards is the perfect accompaniment to her second book 'The Diary of a Creative Business Owner'. This practical planner provides calendars, activity and to do lists and easy to use spreadsheets for you to monitor your sales and expenditures. The planner is the perfect aid to detail your goals, record and review your progress and realise your achievements. Following a career in the corporate industry, Angela Edwards decided to fulfill her longterm dream of owning her own business making and selling jewellery and home accessories. She now specialises in coaching, teaching and supporting people to start and grow a business in the handmade sector. Angela's first book entitled 'Craft Fayre Success' sold out in 58 seconds on its live Jewellery Maker TV launch, so make sure you don't miss out on this fantastic planner! Although it was a good quality planner I was disappointed that there wasn't a bit more formation on how to go about setting up to sell your products. Bit over priced for a colouring book I thought. Sorry!! Thank you for your feedback regarding item NSJT14. It was great speaking with you today. We're sorry to hear that you were disappointed with the content of this particular item and that you are planning on returning the item back to us. As soon as we receive your return, we will aim to process this as quickly as possible for you.